Starting in November 2018, we will introduce our new, improved Season Lease program at our Camden and Rockland locations, with used, new and performance equipment options. This is a great way to keep kids in appropriately sized gear without spending a lot of money on equipment that will be too small by next year! This program also jumpstarts learning and skill development by ensuring that kids are sized correctly and have access to the latest technology. And even better — don't spend a single minute waiting in line for rentals! Season Lease packages are available starting in November, with prices from $99 to $299 for ski, snowboard, junior race and freeride packages. Please stop into the shop so we can accurately size all gear to your child. 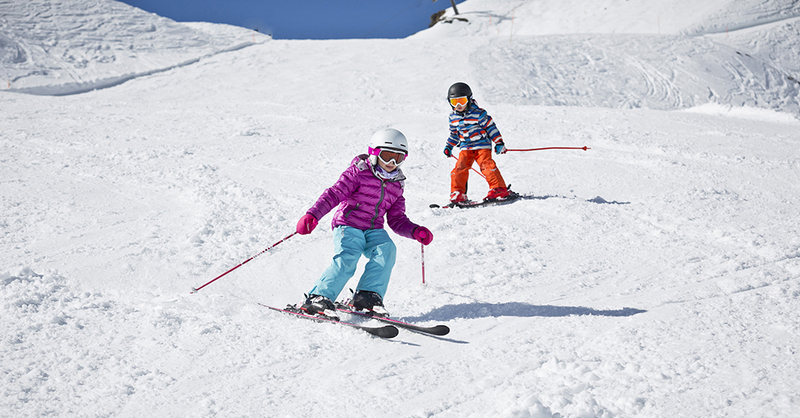 Our used equipment season lease is the most economical way to ensure your child has top-of-the-line gear while they are developing skills on the hill. All of our used skis, snowboards and boots are only 1-2 years old, have been fully tuned and the bindings will be tested for your junior athlete's safety. 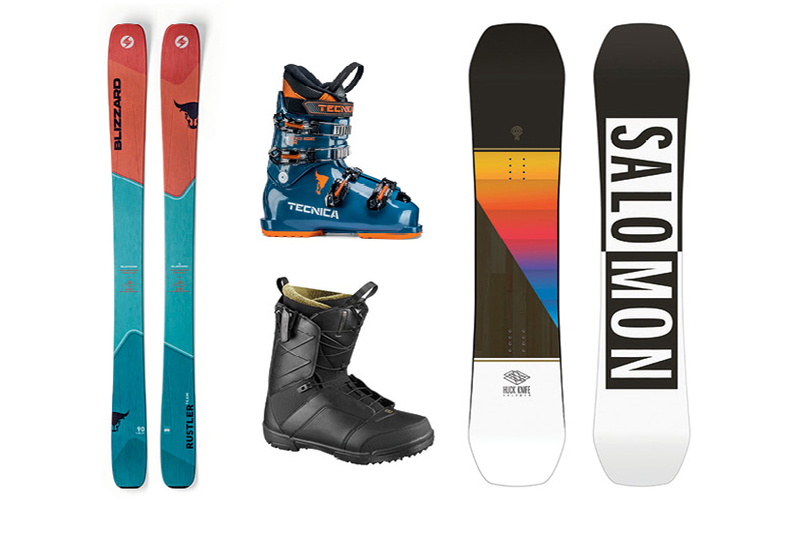 Skis range from 60-150cm, boards range from 90-130cm and boots range from size 16.0-26.5. Our new equipment season lease is the perfect option for a junior skier or rider that is still growing but is ready for the next level of performance! 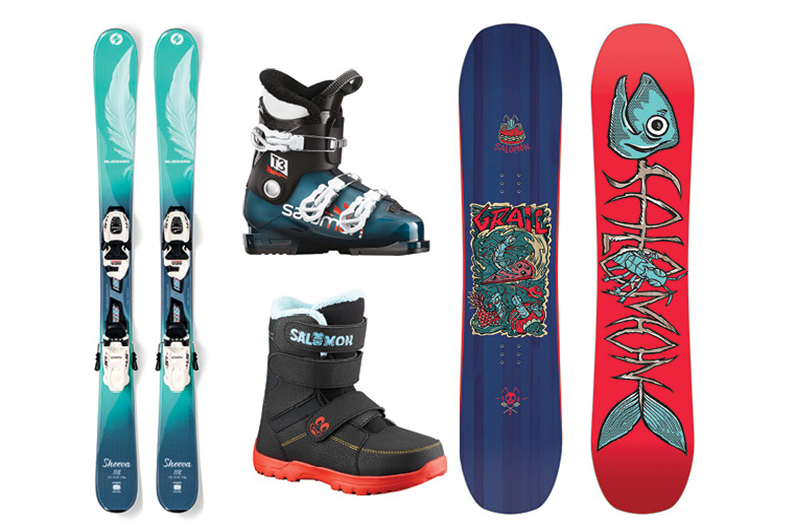 This lease can be customized by choosing from preferred brands, such as Blizzard, Salomon, Atomic, Armada and Nordica. 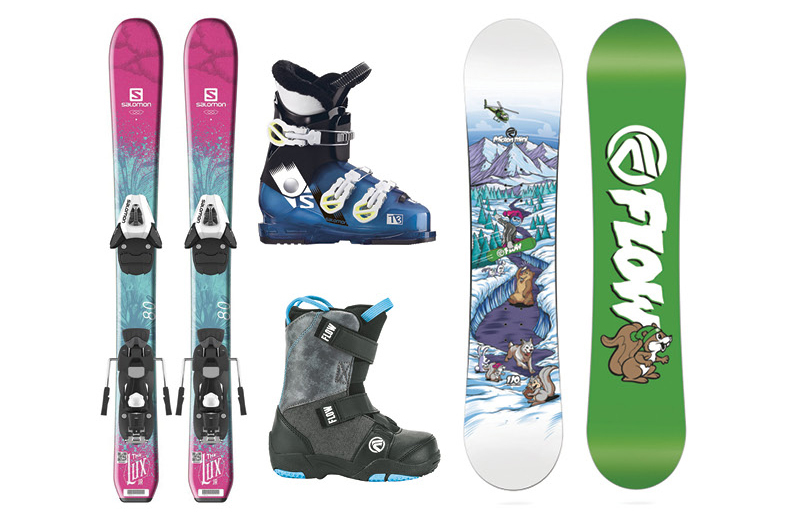 Skis range from 60-150cm, boards range from 90-130cm and boots range from size 16.0-26.5. Our performance freeride lease is for the junior freeride skier or snowboarder hoping to advance their skills and venture outside the groomed lines. 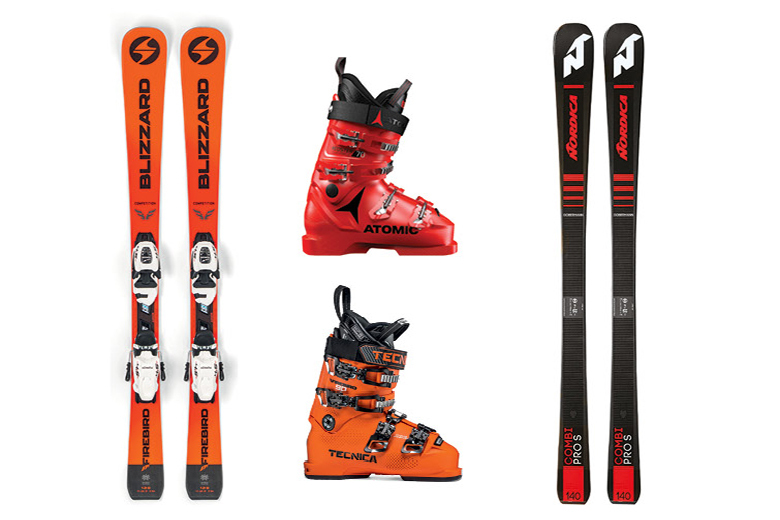 Our performance freeride ski package features 90mm under foot twin tips from Blizzard and Armada and freeride-specific boots and bindings. Our performance snowboard freeride package features wood core twin tip boards from Salomon and Ride with upgraded binding and boot options. Skis and boards start at 130cm+ and boots are size 22.5+. If you have a junior racer who is looking to take their skills to the next level, the Performance Race season lease is the perfect option. Our race specific package features wood core multi-event race skis from top brands, performance tuned and waxed to meet racing's exacting demands. Paired with various flexes of junior race boots to match your junior athlete's weight and ability, this package is guaranteed to take seconds off of each run. Skis start at 130cm+ and boots are size 22.5+.